ESport Manager is developed by InImages and published by PlayWay S.A.. It was released in 18 Jun, 2018. Would you like to try your hand as a manager of this e-sport? To participate in league matches and go to the top? 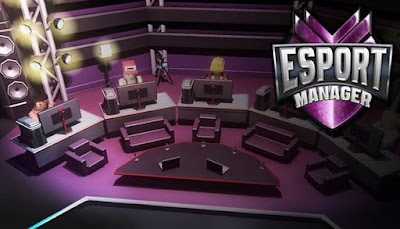 eSport Manager is a game based on the idea of e-sports competitions, especially the most popular – FPS AND MOBA. Create your dream team by selecting the players who suit you the best. Care for their constant development, train, sign advertising contracts and be active in social media. Thousands of fans aren’t going to come to you on their own, you have to work for it. Achieving success in league matches and winning first place requires continuous training. The whole team needs to obtain skills, not just a single player. Their proper use in a match is the key to victory, even with a stronger opponent. The base where the team trains is very important for rapid development and achieving success. Expand it, share new premises and install additional items for use. The players must also train at the gym, play, relax and have meals. All these elements have a direct impact on the games in the league.